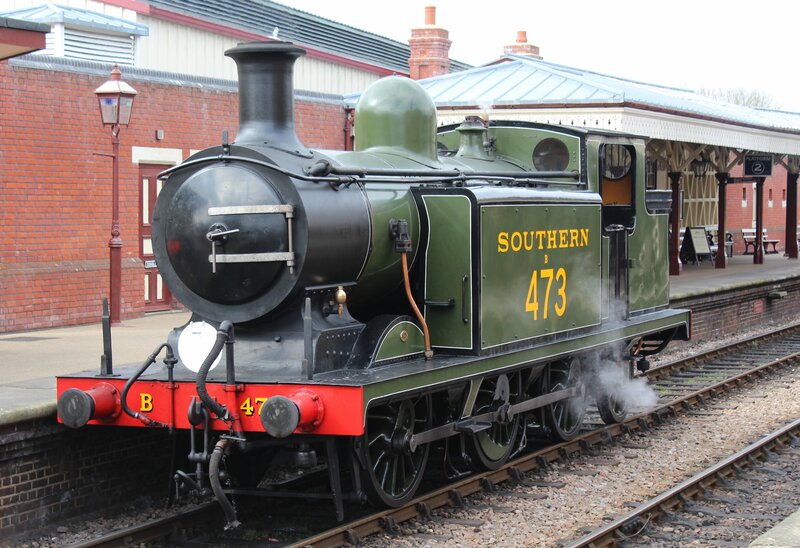 With Bachmann’s eagerly anticipated 00 scale model of the LBSCR E4 radial tank hitting our shores and layouts, it seems a good time to have a look at the only survivor of the class on the Bluebell Railway. B473 was in steam during my last visit to the railway, although unlike S15 class 847, U class 1638 and H class 263 it wasn’t hauling service trains. In common with 847 and 1638 it is finished in olive green, however the B prefix indicates it is running in a pre-1931 condition. 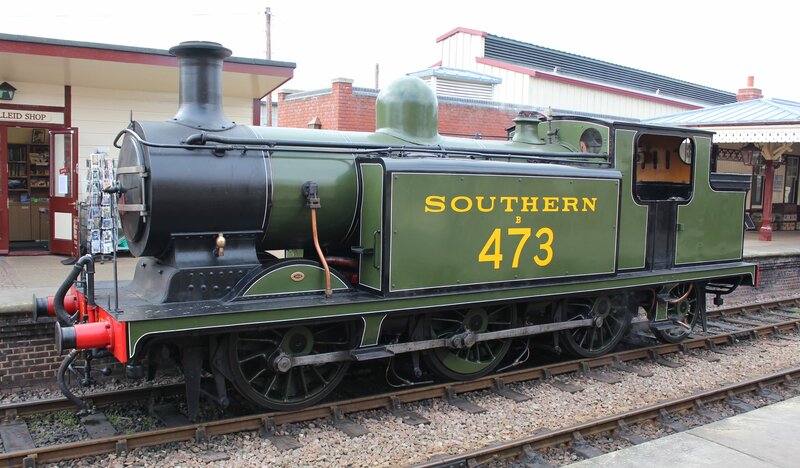 The London Brighton and South Coast Railway built 75 E4 tank engines. 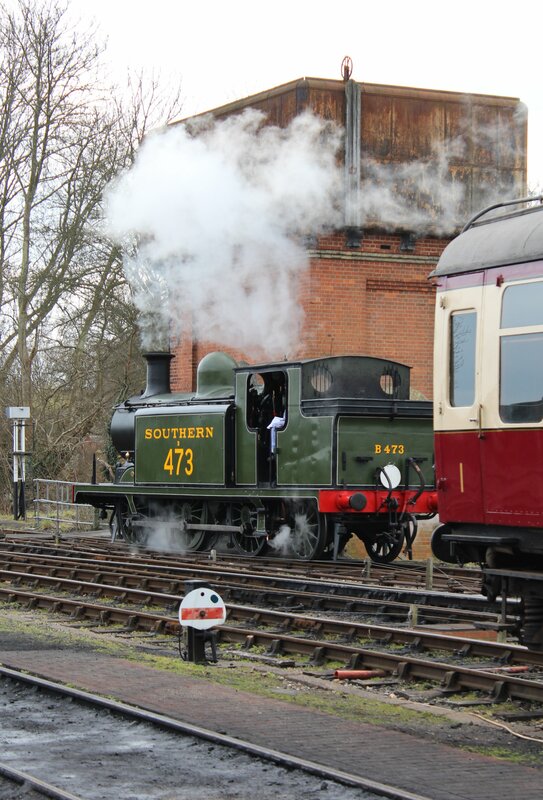 Although the E4’s were designed by Robert Billinton, they were a development of the E3 class that had its roots in an 1891 design by William Stroudley. Marsh modified the design, four being rebuilt as the E4x class and the remainder given new boilers and extended smokeboxes. Conversions continued from 1910 to 1949 and therefore there are a myriad of livery/shape variations in this period. Many people ask what a “radial” tank is. 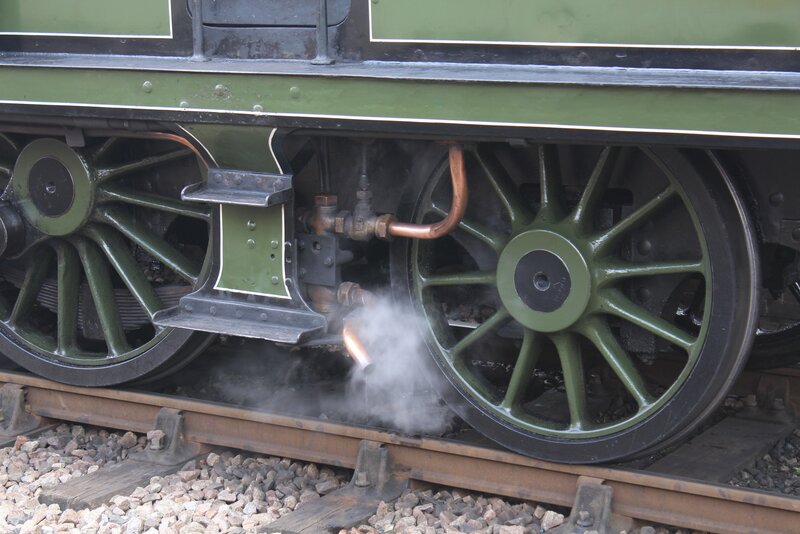 It comes from it’s trailing wheels having a radial axle; an axle designed to move laterally along the arc of a circle. The E4 class provided decades of good service on local passenger and freight work. All but one destroyed in an air raid during the second world war lasted into British Railways service, where later in life some served as station pilots. 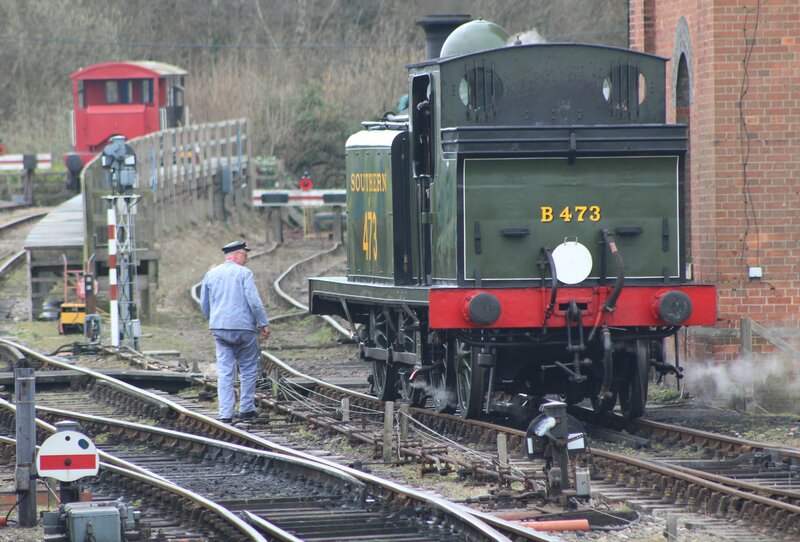 B473 is the only survivor of the class and indeed the only product of Robert Billinton that is with us today. 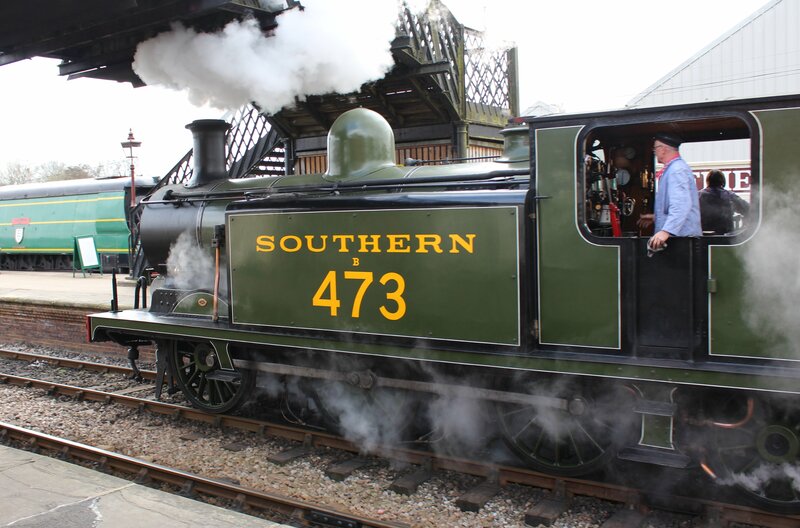 As with many locomotives on the Bluebell line, it is therefore a rare machine and is therefore a real pleasure to see in steam. ← Good Friday, Superb Start!